August 2012 - present: insurgent-like guerrilla tactics, often in coordination with other anti-regime groups from all ideological backgrounds.8 Combination of ground attacks on checkpoints and military bases, and classic AQ-type of attacks including suicide bombings, roadside bombings, assassinations. Ideologically, their constituency corresponds to the split of the jihadist movement which was triggered by the proclaimed independence of Jabhat al-Nusra from the IS. The broad tendency appears to be that pro-AQ jihadists support al-Nusra while pro-Islamic State jihadists are with the IS. Self-declared “emirate” in the north-west of Edlib (Syria), arguably created in concertation with the other regime-fighting factions which hold local legitimacy, rather than as an external imposition. Initially weapons were provided by AQI, until it became IS in March 2013, c.f. IS profile for type of weapons. Emphasis put on its efforts to avoid civilian casualties, through documentary style filming of group members and suicide bombers. Assassination of journalist Mohammed al-Saeed in one of the first suicide bombing attacks of the Syrian civil war on December 23rd, 2011. 1. “Syria’s Armed Opposition: A Brief Overview”, Carnegie Endowment for International Peace, available at: http://carnegieendowment.org/syriaincrisis/?fa=50896&reloadFlag=1 [last accessed November 20th, 2014]. 3. Interview by the Lebanon Support team with Romain Caillet, November 12th, 2014, Beirut. 7. NB: such tactics were abandoned due to the consequential ostracisation of the group from the rest of the opposition to the Syrian regime, and the decrease of its popular support. 10. Interview by the Lebanon Support team with Romain Caillet, November 12th, 2014, Beirut. 11. “Syria crisis: Al-Nusra pledges allegiance to al-Qaeda”, BBC News, April 10th, 2014, available at: http://www.bbc.com/news/world-middle-east-22095099 [last accessed November 20th, 2014]. 12. Alessandria Masi,“Clashes in Arsal and Qalamoun Could Signal Syrian Spillover Into Lebanon”, International Business Times, August 3rd, 2014, available at: http://www.ibtimes.com/clashes-arsal-qalamoun-could-signal-syrian-spillover-lebanon-1647438 [last accessed November 20th, 2014]. 13. Fehim Tastekin, “Who supports who in Syria opposition?”, al Monitor, April 16th, 2014, available at: http://www.al-monitor.com/pulse/security/2014/04/turkey-syria-opposition-groups-support-kuwait.html# [last accessed November 20th, 2014]. 14. Alessandria Masi,“Clashes in Arsal and Qalamoun Could Signal Syrian Spillover Into Lebanon”, International Business Times, August 3rd, 2014, available at: http://www.ibtimes.com/clashes-arsal-qalamoun-could-signal-syrian-spillover-lebanon-1647438 [last accessed November 20th, 2014]; Ben Hubbard, “Islamist Rebels Create Dilemma on Syria Policy”, The New York Times, April 27th, 2013, available at: http://www.nytimes.com/2013/04/28/world/middleeast/islamist-rebels-gains-in-syria-create-dilemma-for-us.html?pagewanted=all%3E [last accessed November 20th, 2014]; Kelly McEvers, 2014, "Jihadi Fighters Win Hearts And Minds By Easing Syria's Bread Crisis", NPR, January 16th, 2014, available at: http://www.npr.org/blogs/thesalt/2013/01/18/169516308/as-syrian-rebels-reopen-bakeries-bread-crisis-starts-to-ease [last accessed November 20th, 2014]. 15. “Syria’s Armed Opposition: A Brief Overview”, Carnegie Endowment for International Peace, available at: http://carnegieendowment.org/syriaincrisis/?fa=50896&reloadFlag=1 [last accessed November 20th, 2014]. 16. “Syria conflict: Jihadists 'beating America's allies'”, BBC News, November 4th, 2014, available at: http://www.bbc.com/news/world-middle-east-29902384 [last accessed November 20th, 2014]. 17. Marcelle Champagne, “Entretien avec Romain Caillet - Qu’est-ce que l’Etat Islamique?”, Les Clés du Moyen-Orient, July 8th, 2014, available at:http://www.lesclesdumoyenorient.com/Entretien-avec-Romain-Caillet-Qu.html [last accessed November 20th, 2014]. 18. 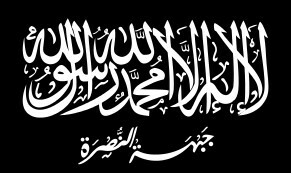 “Al-Nusra Front entered Lebanon to “Protect its Sunnis””, NOW., 22/12/2013, available at: https://now.mmedia.me/lb/en/lebanonnews/526656-al-nusra-front-entered-lebanon-to-protect-its-sunnis [last accessed November 20th, 2014]. 19. “Nusra Front claims attack on Hezbollah checkpoint”, The Daily Star, English, September 20th, 2014, available at: http://www.dailystar.com.lb/News/Lebanon-News/2014/Sep-20/271378-suicide-bombing-near-hezbollah-checkpoint-in-east-lebanonsecurity-source.ashx#axzz3JKhnkRrt [last accessed November 20th, 2014].